For many years, Western Reserve Land Conservancy has worked with corporate and community partners in southeast Akron to restore streams, build trails and create a vibrant natural asset for the surrounding neighborhood. In December, Western Reserve Land Conservancy transferred five parcels, totaling 3.2 acres, to the City of Akron. The parcels surround Adam’s Run, a tributary stream to the Little Cuyahoga River, and contain wetland and forest habitat. When combined with land already owned by the city, these newly acquired parcels form the foundation for the site of the future Adam’s Run stream restoration and trail installation. 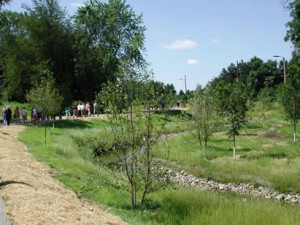 The Adam’s Run project compliments the Haley’s Run project completed in 2010. While not a large project in terms of acres, the project will provide an additional recreational amenity that can be used for walking, hiking, biking, birding, photography, and nature study. “This project is long-term and multifaceted, to say the least,” explained Jeffery Schiffman, conservation project manager for the Land Conservancy. 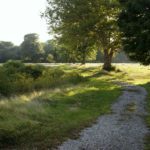 Since 2012, the Land Conservancy has worked with the City of Akron to secure Land and Water Conservation Fund and NatureWorks grant money to acquire the parcels. The entities also secured a Clean Ohio Trails grant to fund the future trail. For the stream restoration, the Land Conservancy was awarded an Area of Concern grant through Ohio EPA which funded a restoration plan. 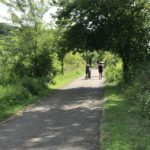 That plan was completed last summer and will most likely be funded through an additional public funding request, to coincide with the trail installation.